Firefighter Embroidery is owned and operated by myself, an active professional career union firefighter that has been on the force for over 25 years. I established my company in central Ohio after realizing the need and demand for quality custom firefighter apparel. I take great pride in my business and the customer service I provide. I use state-of-the-art computer-operated equipment and software. 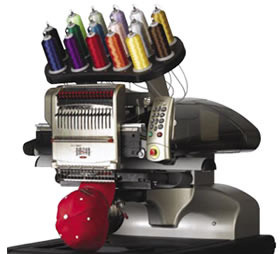 It is my goal to provide the highest quality embroidered and decorated apparel to you, your department and its members, with excellent service in a timely manner. I specialize in custom apparel to meet your specific needs. Special requests are not a problem and I will work with you to make sure the design you want is the design you will get. You can also choose from the stock designs I have available here. If you are looking for a specific brand or style of shirt that I do not show, I will do my best to obtain it for you. I also have a wide variety of hats available for customization. If you don't see something you would like on this site, contact me and I will work hard to fill your request. REMEMBER.....ALWAYS FREE SHIPPING IN THE US.!! Thanks for visiting my site and let me know what you have in mind.